On a humid morning in 1806, seventeen-year-old Susanna Quiner watches helplessly from behind a tree while a band of Potawatomi Indians kidnaps her four older sisters from their cabin. With both her parents dead from Swamp Fever and all the other settlers out in their fields, Susanna rashly decides to pursue them herself. What follows is a young woman's quest to save her sisters and the parallel story of her sisters' new lives. 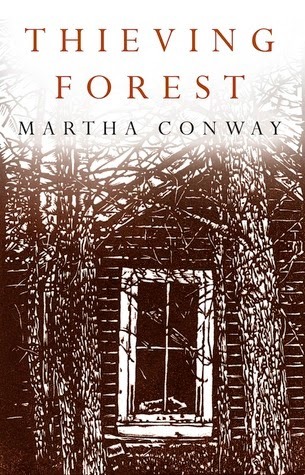 Fast-paced and richly detailed, THIEVING FOREST explores the transformation of all five women as the Quiners contend with starvation, slavery, betrayal, and love. It paints a fascinating new picture of pioneer life among Native American communities, while telling a gripping tale of survival. Thieving Forest is an extraordinary story about four sisters who live in the wilds of Ohio. One day, native people wander onto their homestead and capture three of them. Susanna manages to evade detection. Alone, penniless, and with little help, she risks her own life to find her sisters. Obsessed with reuniting with her siblings, she enters into a journey that will have many twists, calamities, and devastation. The author has done a great deal of in-depth research into the day to day life of native tribes in the area that gave the story much credibility and literally brings the characters to life. There is desperation, trust, betrayal, and much courage to endure the hardships of life in the wilds. The pace moves steadily along with plenty to keep the reader engaged. Most importantly, the novel explores the adaptability of the human spirit in the face of great adversity. Another underlying theme is one of finding happiness whatever the circumstance one finds themselves in. It is not surprising that this novel won such a prestigious award. Very well done and a wonderful reading/learning experience. It leaves you with a deep appreciation of what our pioneer ancestors endured to build the great country of the United States of America.